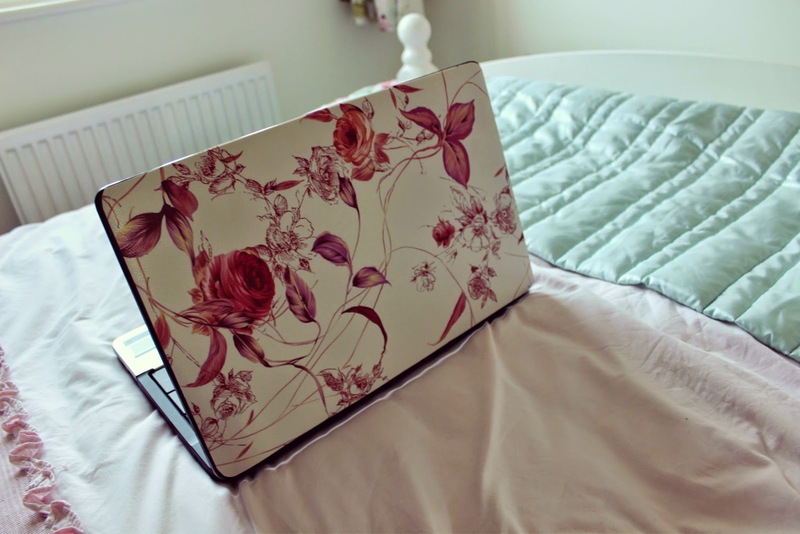 I'm in love with this floral print, it's definitely my style and I feel more inclined to use my laptop now it's been newly decorated. The skin was £6.99 from Amazon, which you can see here, and all you do is cut the template down to size (I used scissors, but ideally you should use a sharp knife for a cleaner cut) and then peeled off the seal and stuck it on. Simple! The technical bit! 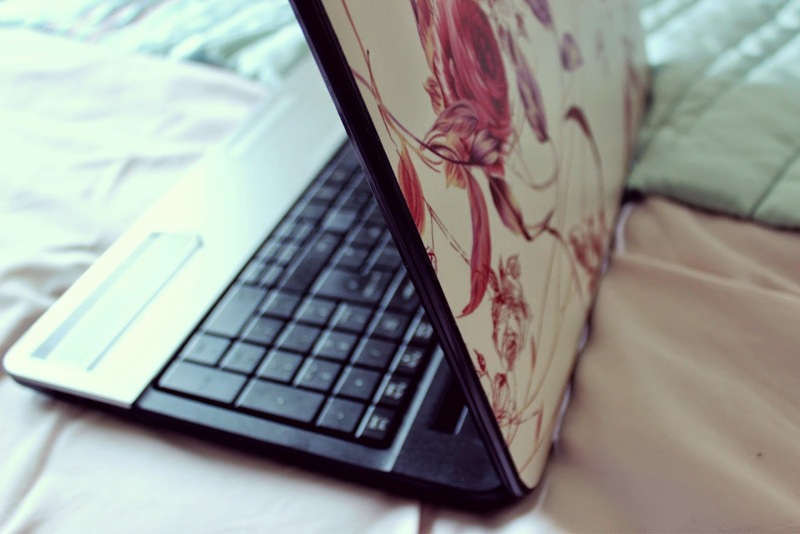 It's also really useful to give your laptop or computer a real good clean out. This means removing all unwanted temporary files, cookies and general internet history. Or you could just delete certain documents to free up some space on your hard drive - like, do you really need that old school report about Romeo & Juliet? I think not. I also normally struggle to find anything that fits my laptop, as it has a rather large 15.6" screen. This is a 15.6", and fits perfectly along with the case. It also had a beautiful leather, textured effect, it doesn't look tacky or cheap and the quality is surprisingly really good. 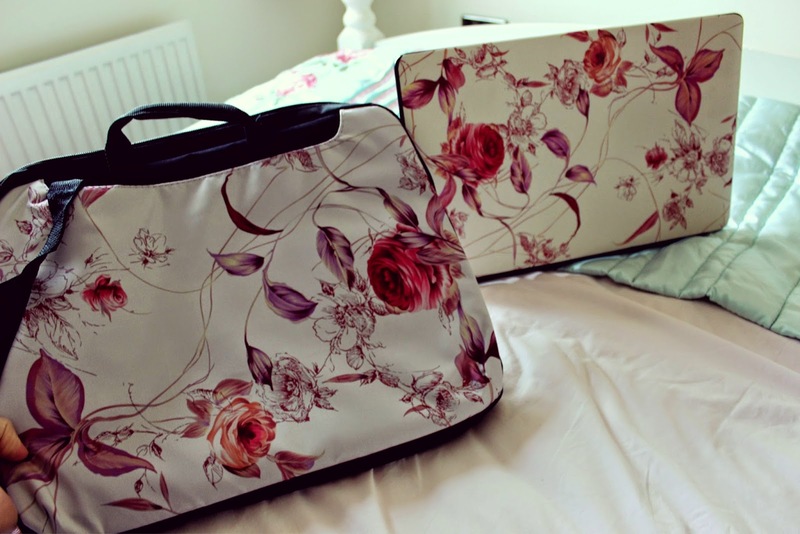 As previously mentioned, I also decided to buy the matching laptop case with handles and a detachable strap - always handy! Also from Amazon, for just £14.99, you can see it here. What do you think to this floral set? Would you use it / are you inspired to re-furbish your own laptop? 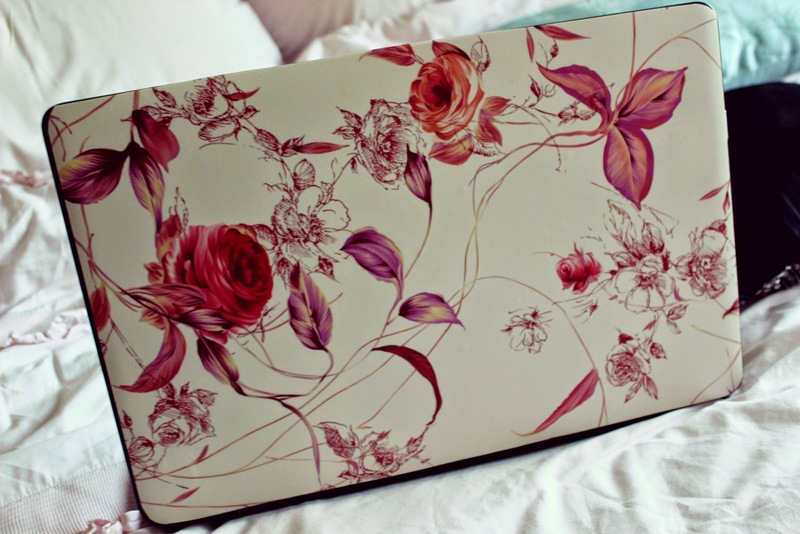 That's such a pretty floral print I have a MacBook Air and I really want one of those decals (of Snoopy) to put on mine. They're just too adorable. This is such a great idea! 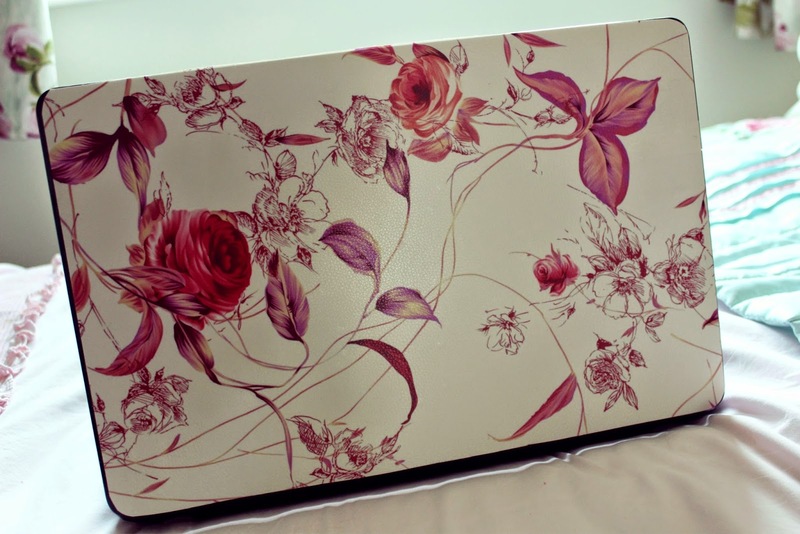 I'll have to do this to my boring laptop. It look so feminine! I love it! 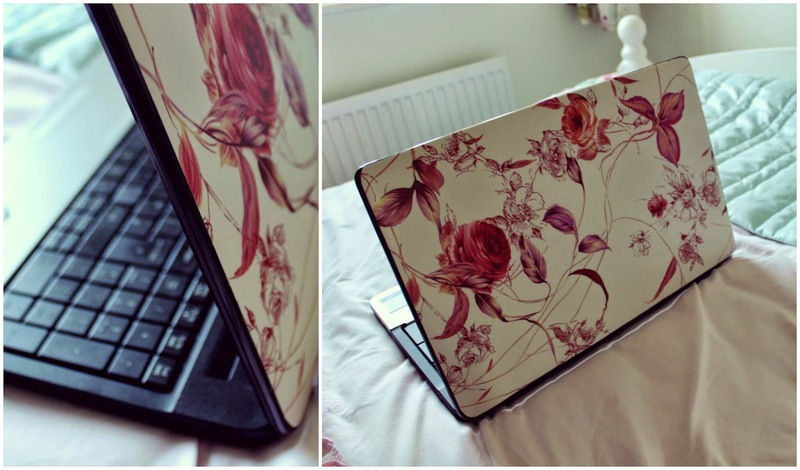 It's amazing how a pretty laptop skin can transform a laptop! This one is gorgeous!